The Teeter Totter is a more challenging (and very fun!) 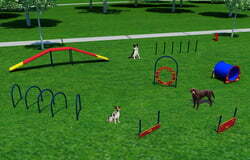 piece of dog park equipment. It helps to improve balance and coordination, and is a great confidence booster. Be careful not to let your dog jump off the first time you try the teeter. Introduce your dog by walking him slowly until he becomes comfortable with the movement. Practice walking past the center hinge and wait until the teeter lowers to the ground before proceeding. 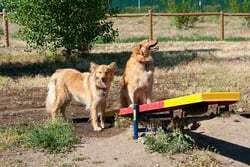 You may even want to gently push the teeter down for your dog. 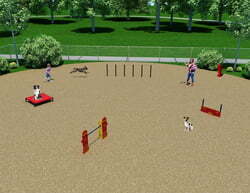 Work with your dog and teach them to touch the contact zones before jumping off. 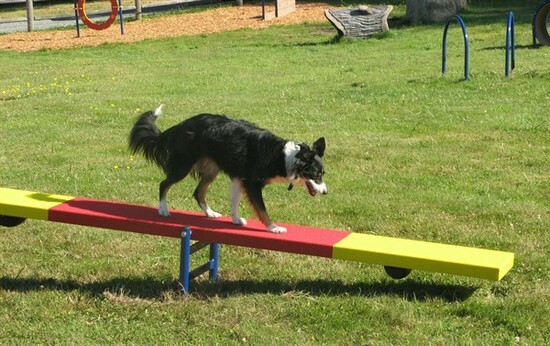 Only two feet off the ground when raised and with an extra long plank, our Teeter Totter is well suited for beginners to dog agility. 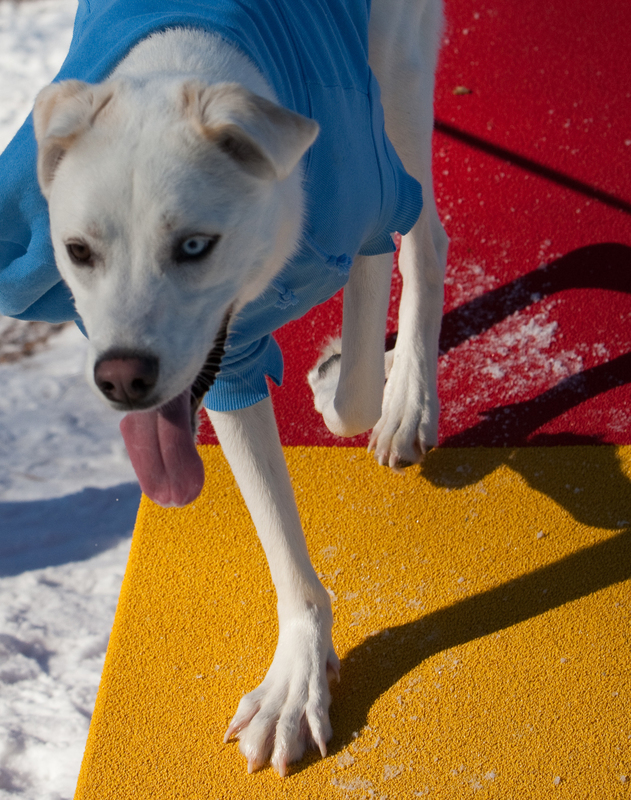 All walking surfaces are coated with PawsGrip, a highly textured polyurea coating designed for maximum slip resistance. We're eco-friendly! 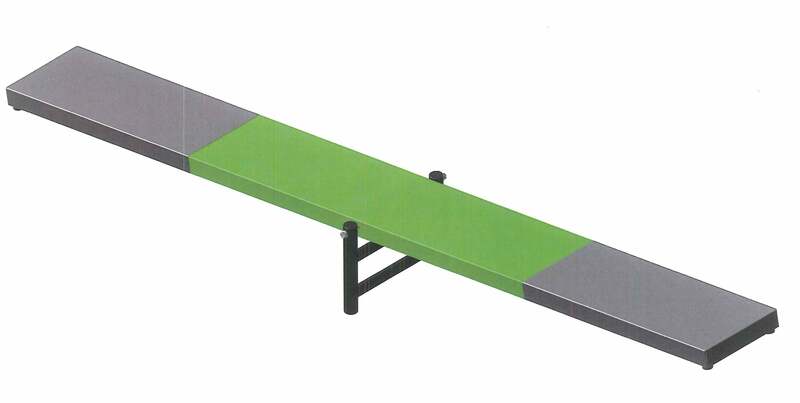 The Teeter Totter plank is made with 85% recycled aluminum and the posts have 80% recycled content. 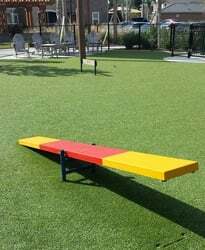 Our Teeter Totter features a special hinge arrangement for easy, fluid movement and no squeaking. Rubber cushions at each end help to soften the impact and reduce noise which may scare a dog. The fulcrum is offset so the teeter will always return to the proper down position. 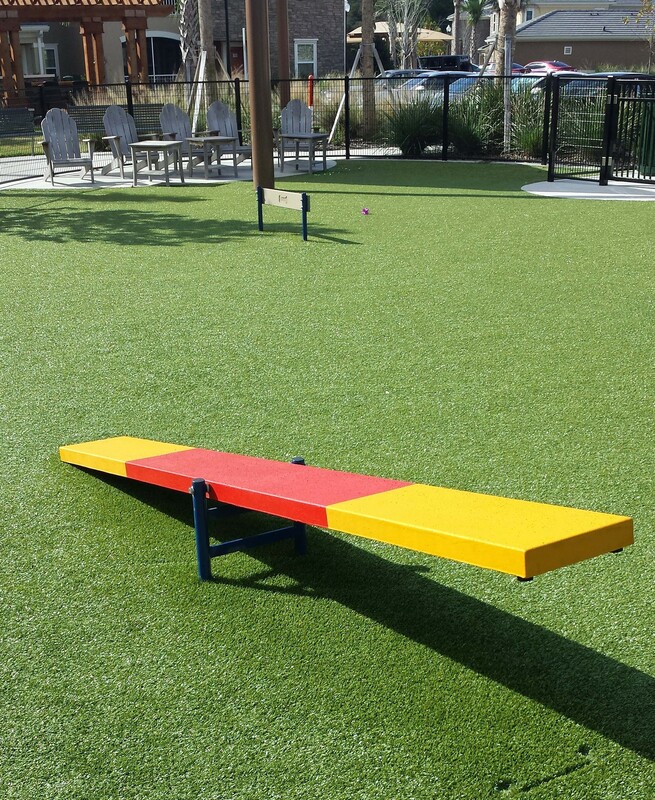 The 9-foot long teeter plank is manufactured with heavy-gauge, rust resistant aluminum. Features stainless steel, vandal-resistant hardware.